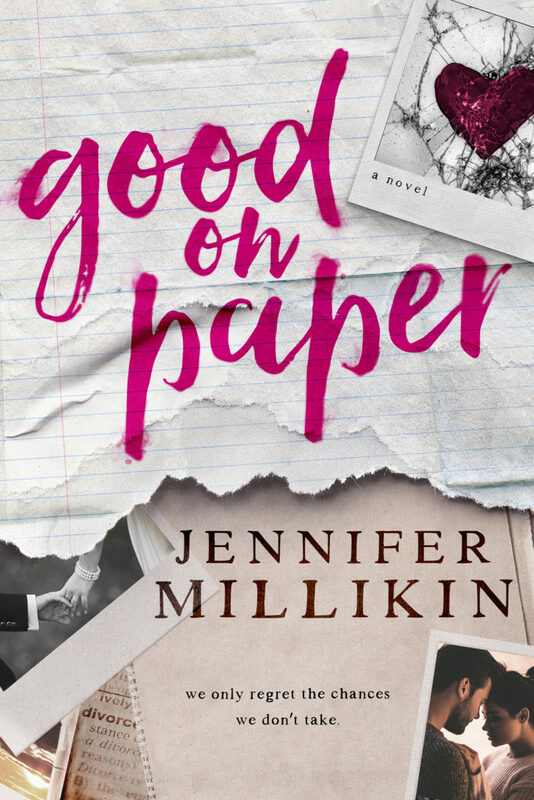 Today we are celebrating the release of GOOD ON PAPER by Jennifer Millikin. 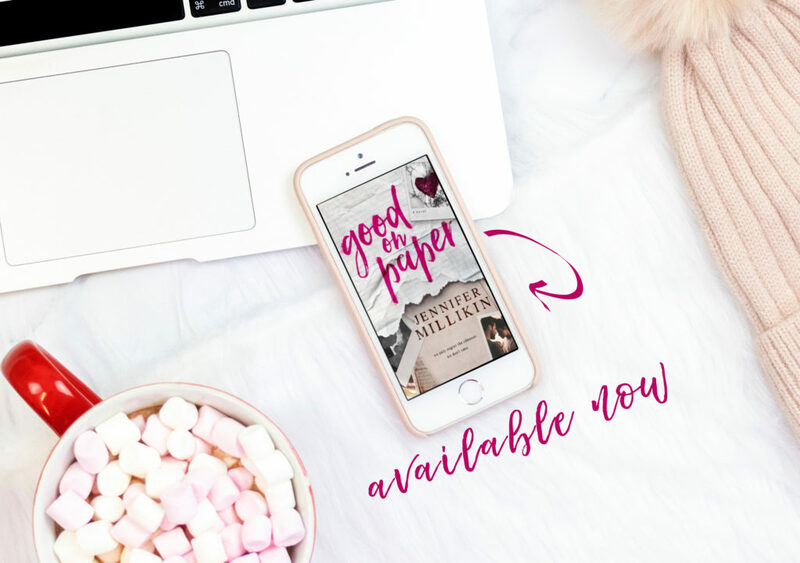 GOOD ON PAPER is a standalone, friends-to-lovers story! Be sure to follow Jennifer for exclusive news and giveaways! $2.99 for a few days only! This is a really sweet best friends to lovers romance with terrific characters. The author gave us wonderfully developed characters, a little mystery and a few heart stopping moments. 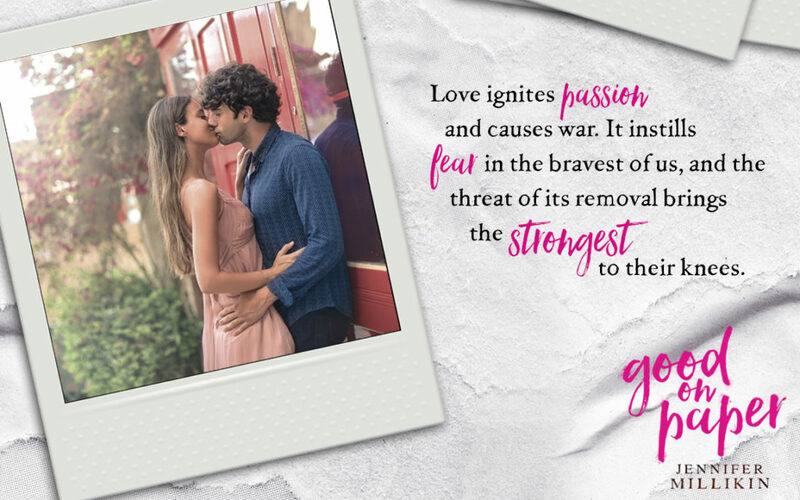 The story drew me in from the beginning without a lot of fanfare and kept me interested in these characters and their love story. A slow build but when our couple got there it was magnificent. Good feels! There was already so much love between Nat and Aidan that the progression to romantic love was beautiful. I didn’t even mind the drama towards the end or Aidan’s secret. But I wanted The Hot Doctor to get his own story without the witch. Great epilogue! I don’t think I’ve read this author before but I will again. Her writing is wonderful and her characters intriguing. I liked that she didn’t overly describe the characters physical attributes unless it was appropriate for the timing in the story. For a love story it’s not too salacious, just lots of real love! 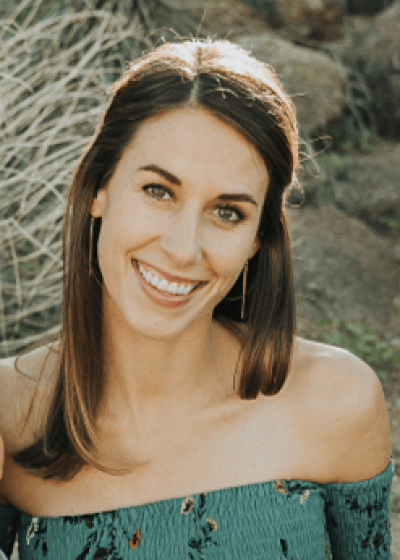 Next** Cover Reveal ** With A Hitch by RC Boldt!